I woke up confused, disoriented and under attack. I could hear the sounds of bullets in the distance getting closer with every passing second. In the confusion following my abrupt awakening, it took me a few precious seconds to realize this wasn’t my room and that I was in a foreign bed. Then I remembered I was onboard a convoy, taking me far away from home. I gazed out of the tiny window next to my borrowed bed to see the attackers; about two dozen people on horseback, ridding parallel to the moving convoy. A few held lit torches that blazed against night’s sky. The rest carried guns, all aimed at me. My heart reached a frantic pace when I saw their bodies move closer to my window. I had lived my whole life in fear of an assassination and now that the threat was real and present, time stood still as I observed the faces of my would-be killers. Their faces shone with excitement and energy. Never in my entire life had I felt as alive as these people appeared to be, riding towards me with their guns blazing. The full moon illuminated them and the green valley they galloped across. Weaving in and out of the sparse trees, their horses flew across the grassy terrain and maintained pace with the convoy. With my breath frozen in my throat, I found myself confused with my discovery. These assailants seemed happy and not at all what I imagined assassins to be. Their clothes were mismatched but not ragged. They had clean, Unaltered faces and their hair was neatly arranged. I saw a young girl with two long braids streaming down her back. For some reason, those twin golden braids held me transfixed as she rode even closer. This would-be killer looked so young. She had to be about my age, seventeen. As I scanned the rest of their faces, I noticed none of them seemed much older than thirty. Women made up almost half of their numbers. I had always been taught to fear assassins and imagined them to be deranged renegades, but these people seemed vibrant and full of glee. Their smiling faces almost made me forget that they were after me. Preparing for the worst, I steeled myself and moved away from the small window. Getting down on my hands and knees, I searched my cabin for something to barricade the door with. Unfortunately, every stick of furniture was attached to the wall. The sounds of gun fire got closer and my once comfortable room was now stifling. My stomach twisted into a knot of fear that I forced myself to ignore. After all, I had been trained for this since I was a little girl and I knew what to do. I needed to take stock of my surroundings. The convoy did not have accommodations for extra passengers, so the Leader of the Convoy had surrendered his room to me. I had made myself comfortable in his small compartment while he shared with the crew. The surfaces of his room were made of a highly polished wood that gleamed in shiny perfection and I marveled at the cabin’s ingenuity in making use of every nook and cranny. A model of expert efficiency, its compartments slid into the walls and bins folded into the ceiling. I started to go through the compartments, looking for something of use, until I found what just might save me: a pistol. Heavier than I expected it to be, I was pleased to find the pistol already loaded and ready to go. My fingers griped the cool metal as I pushed aside the growing fear and remembered every word of my safety training. I moved into a tight corner with good cover, aimed the pistol at the door and waited for my attackers. The knock on that door made me jump half out of my skin. Assassins don’t knock, do they? I slowed my racing heartbeat and forced my brain to think clearly. “Who is it?” I asked with as much braveness as I could muster. The voice sounded right, even and free of fear. Having been taught to expect a trap, I tightened my grip and took a deep breath. “Come in.” My level voice didn’t betray any of my fear. The door opened and Convoy Leader Simpson himself took one step into the room. He appeared to be more afraid of me than of the assassins outside of my window. I lowered the gun but kept it firmly in my hands as I moved back to the small window by my bed. Outside, I could now only see the backs of my attackers as they rode away. With their guns holstered, they rode quickly into a nearby thicket of trees where the branches and bushes would soon conceal them from the moonlight. “They’re riding away,” I said in disbelief. I tore my eyes away from the small window and looked over at him. His impossibly smooth skin, as well as his strong and exaggerated chin told me he had been Altered. Simpson was young, not too much older than me. An expert at telling the age of citizens from our capital, Civitas, I knew the trick was to look past the face. Faces were often Altered beyond recognition. Instead, I focused on hands or even better, elbows. Sometimes older people tried to keep the saggy and stretched skin around their elbows covered since it was a dead giveaway, but hands are always out for everyone to see. The surgery hadn’t yet been invented to Alter them without hindering their function. He took two steps further into my room and stopped. I let out a sigh of relief and glanced outside once more. They had disappeared under the trees with nothing left to remind me of the attack except for the heavy gun I held in my hands. It seemed silly to still be holding it, so I handed it over to Convoy Leader Simpson. Careful not to touch my skin, he removed the pistol from my hand. The youthful skin of the Convoy Leader’s hands told me he was in his early twenties. Such an important post for someone so young meant he possessed good connections. Yet he wasn’t well connected enough to not fear me. Though his dark brown eyes were scared, they also held a hint of curiosity. “Then what were they after?” I asked. He shifted his weight between his feet a bit before answering. “Why?” I had never heard of anyone attacking a convoy. “It’s true, ma’am. They fire their guns at us but it’s to no avail. The convoy is armored so their guns won’t do us any harm,” he replied without answering my question. These attacks must happen often, which didn’t make sense. Who would want to attack the convoy? It carried essential supplies between all the cities within the Confederation of Cities. Did they want the supplies or something else? “Well, I wanted to make sure you weren’t frightened or disturbed.” He kept his eyes downcast as he hovered in the doorway. “Thank you. I’m fine.” I reassured him. He closed the door without once meeting my eyes. If he had, he would have noticed the irritation on my face. I had gotten sick and tired of being referred to as ma’am. At seventeen, I found the title more than a little offensive, but this poor guy must have been petrified after spending the last three days traveling with me. People in positions of authority always thought I had been sent to observe them and report on them to the Chancellor himself. The Chancellor of the Confederation has ruled with absolute power since the Great Pandemic. His position had been created for our protection. Now, most people feared him almost as much as they feared my father. Little did they know I hadn’t spoken to the Chancellor in years and I could care less about reporting on people to him. Oh well. Another day had passed without my being assassinated. I sunk down into my, I mean Simpson’s, bed and tried my best to go back to sleep, which proved to be rather easy considering the gentle rocking of the convoy over the iron tracks that stretched all across the Land of the Unaltered. 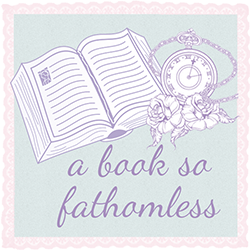 Don't forget to enter Leti's giveaway to win a $25 Amazon Gift Card! 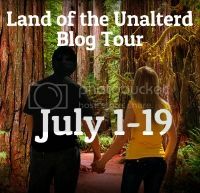 Make sure to check out Leti's blog and the schedule for the rest of the Land of the Unaltered blog tour, which can be found right here. Thanks so much for featuring me and mt newest book!